The England’s Awards County Durham were held at the Radisson Blu Hotel, Durham, on Sunday 24th March. 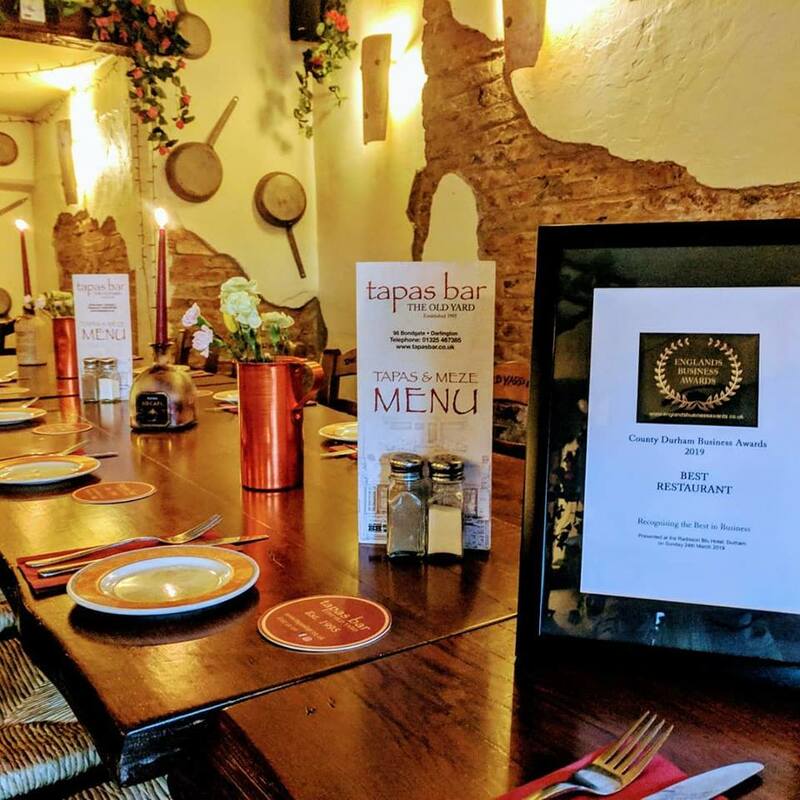 Two representatives of The Old Yard Tapas Bar attended the awards. We won the Best Restaurant Category in Country Durham and will be attending the national finals in June. The awards was based on mystery shopping, judges assessment and votes from the public. We are honoured to have won this award and are very grateful to our fantastic team, loyal customers and those who voted for us.